This new video series, Comic Book Spoiler Alert, will give you quick :30 - :60 second videos without concern for spoiling the stories for you. 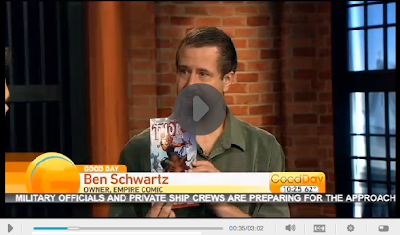 Ben will give you his gut reaction to what he's reading as he's reading. It's the dirty low down from Ben's POV. Just make sure you've already read the comic before you watch the videos in this new series. Of course, our regular weekly video will continue to provide you highlights about new comic books. It's a 5-10 minute watch, usually, and you'll continue to find it at EmpiresCV.tv.